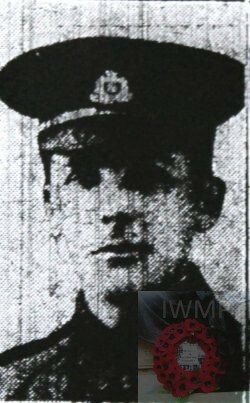 Died: 10th January 1918; age 32 – at 30 General Hospital, Calais. 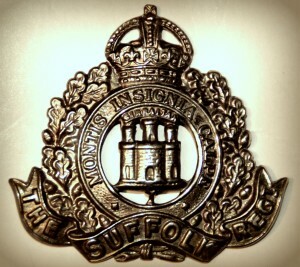 Regiment: Suffolk Regiment, 5th Infantry Base Depot transferred to (403248) 857th Coy. Labour Coy. 1891 77, Bulwer Road, Ipswich. Wilfred was 5 years old and living with his parents & siblings. John Henry Booty, 34, a Tailor – employer, born Walsham le Willows, Suffolk. Deaf & dumb since birth. Eliza Anna Booty (nee Cook), 35, born Boxted, Suffolk. John Henry Booty, 10, born Walsham le Willows. Albert Edward Booty, 8, born Walsham le Willows – died 1893, Walsham le Wilows. Margaret Ethel Booty, 1, born Walsham le Willows. 1901 77, Bulwer Road, Ipswich. Wilfred was 15 years old, a Tailor’s Errand Boy. He was living with his parents, siblings & aunts. George Spencer Booty, 8, born Walsham le Willows. Priscilla Booty, 6, born Walsham le Willows. Harry Booty, 3, born Walsham le Willows. Priscilla Alpe, 32, born Whepstead, Suffolk. Margaret Cook, 26, a Domestic Servant, born Whepstead. 1911 The Mansion, Easton, Wickham Market, Suffolk. Wilfred was 24 years old, a Footman. He was 1 of 14 house servants at the home of The Marquis of Graham. The Marquis’s mother in law was Head of the Household for the census – 58 year old, The Dow Duchess of Hamilton. At the outbreak of war, The Mansion, with its 27 bedrooms, was converted into a Red Cross Hospital to receive the wounded, who were placed under the care of The Dow Duchess of Hamilton. In 1916, Ipswich, Wilfred married, Winifred A. Phillips, born 1886.